Tyga's baby mama has some 'splaining to do because Sunday in Malibu she got their Rolls Royce Phantom impounded for a really dumb reason. 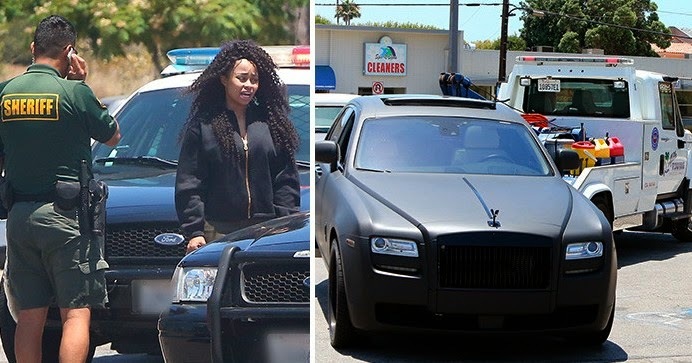 Law enforcement sources says Blac Chyna was pulled over after cops got complaints a matte black Rollie was being driven erratically and since there aren't too many of those $300k whips toolin' around, they quickly found Chyna and pulled her over. That's when the real trouble began, during the stop, cops ran BC's plates, she was driving without a license, so they impounded the vehicle and will only release it to a licensed driver. Better hit up the DMV, stat.